Highly-coveted, fresh and fashionable without ever kicking a competitive ball or signing a player, the man tasked with bringing one of English football’s sleeping giants back to the big time is something of an unknown entity. Having earned his UEFA A licence, along with the likes of current Liverpool boss Brendan Rodgers, Paul Clement got his first full-time role in football at Fulham’s Academy in 2000. He has been working his way through the football coaching ranks since and he eventually teamed up with Ancelotti at Chelsea, where he then followed him to PSG and Real Madrid. Does Clement have the experience? A common misconception is that in order to be a top coach, you must first be a top player but Clement’s aim will be to join the club of successful managers – including Arsene Wenger and Jose Mourinho whose playing careers were less-than glittering. When ex-players turn to coaching they can easily follow the notion that once a coach, you can simply pass on your wisdom. Unfortunately, coaching is not this simple and this method can fall flat so coming through the coaching ranks rather than straight into management can be a good thing, right? The two roles of manager and coach are completely different disciplines. As a coach, success is sought through the success of others. Control is limited to your leadership skills. And to lead, you need followers. Screaming at someone what to do and how to do it, is not leading. Once a player takes to the pitch, there’s no point screaming at them. It is the coach’s job to educate the player, so that players can analyse and adjust in real time. A player’s ability to change and better himself on the pitch is the true signal of a coach at work and this is the experience that Clement will be bringing to Derby County. Chief executive Sam Rush said “We know he’s had an unusual journey through football, but he’s been working in football since day one, and his achievements have been enormous. “For Paul it’s about his coaching abilities. And it’s about what he can bring to Derby – he’s a young, ambitious, inspirational coach, and we are an ambitious aspirational club. 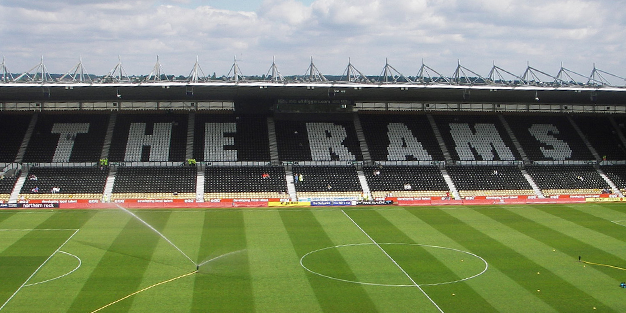 Have Derby taken a gamble? Undoubtedly the game has evolved since the ‘old school’ managers were at the helm and it’s unlikely we’ll ever see a figure like Brian Clough again, a man who paid meticulous attention to detail in every aspect of the club from top to bottom but Derby have brought Clement in to coach the team. Yes, he will have a say on the players that come in but his main focus will be on the training pitch ensuring his players are prepared for match day. Over the years Derby have set themselves up where the role of managing the club isn’t left up to one man like Brian Clough but a team of specialists like Sam Rush and Chris Evans to run the business side and bring the players in. So Paul Clement might not have the experience of managing a club but he certainly has the credentials and the knowledge to get the best out of his players.